Shopping for Star Trek Pins? There's something different about Data. Featuring Data from the mirror universe, this unique pin is sure to stand out in any collection. 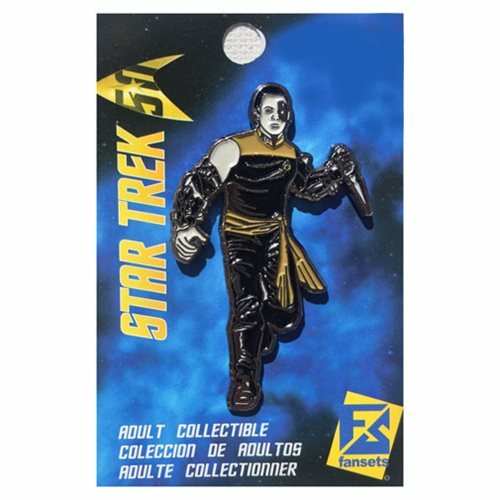 Collect mirror-style Data and your other favorite mirror universe characters in pin form (sold separately)! This Star Trek Data Mirror Pin measures about 2-inches tall.